The following links have been helpful to me for credentialing information, nursing resources, and for finding suitable accommodations when in a new environment. To visit the site, click on the logo image next to the description to open a new tab in your browser. If you have sites you’ve found helpful and feel others would benefit, please send the links to me and I’ll add them here. 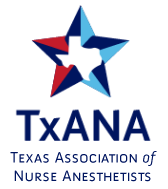 It's essential to have membership in the two main national nurse anesthetist associations along with individual state associations. Each state has its own. Keeping your Continuing Education credits current and accessible is mandatory for licensing and credentialing. Be sure you use a nationally recognized accredited institute. As important as it is to keep your licenses and certifications current and up-to-date, it's equally important to verify that the national databases that provide this data is completely accurate. Often times facility credentialing offices will access online databases to verify your professional and practice information. CAQH-ProView is one company that is free for the provider and used by many facilities. Every facility has preferences for how they schedule and communicate to the anesthesia team. QGenda and OpenTempo are two I have used and can be downloaded as an app onto your phone. It's very helpful to have a quick reference to thousands of physician authors and editors who share a singular passion: writing and editing evidence-based information that helps clinicians everywhere practice the best medicine. Wolters Kluwer's UpToDate is an app I use with confidence. Revenue cycle management (RCM) is the financial process, utilizing medical billing software, that healthcare facilities use to track patient care episodes from registration and appointment scheduling to the final payment of a balance. There are over 20 Revenue Cycle Management Vendors used in hospitals, physician practices, and healthcare systems across the nation. I am most familiar with Parallon. The following are a few handy links when seeking accommodations for your assignment. Every facility has preferences for how they schedule and communicate to the anesthesia team. QGenda and OpenTempo are two I have used and can be downloaded as an app on your phone.